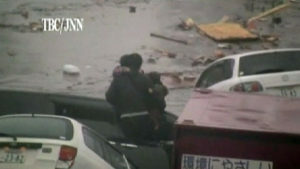 Eyewitness footage of the tsunami striking Northern Japan and the subsequent scramble to rescue men, women and children from the flooded streets. 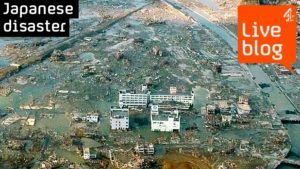 Fears of a meltdown at the Fukushima nuclear plant are causing trauma and travel chaos across tsunami-stricken Japan as foreign governments tell their nationals to evacuate. 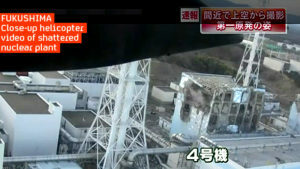 Watch video of the damaged Fukushima nuclear plant, filmed by military helicopters dumping water on it, as a nuclear expert tells Channel 4 News elements of the response are “shambolic”. 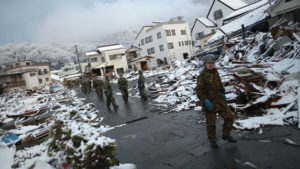 Latest updates, pictures and video from Japan as earthquake and tsunami recovery efforts are hampered by an escalating nuclear crisis. 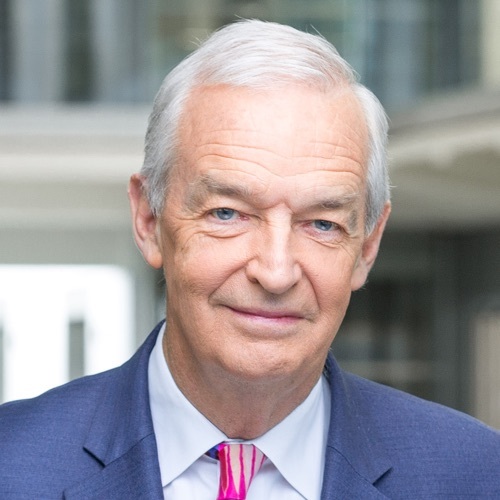 Five days on from the earthquake which shook Japan, Jon Snow looks back at the unimaginable human loss and the unbelievable invisible threat. Science Correspondent Tom Clarke considers the far greater danger to human health if it transpires that nuclear fuel in storage pools at the stricken Japanese plant has undergone fission. 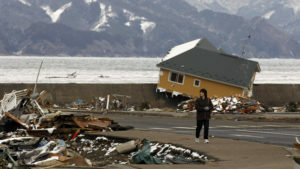 Channel 4 News Alex Thomson reports from Kamaishi where blizzards and ice now blanket a village whose massive tsunami protection walls failed to save its people last Friday. 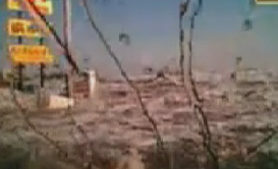 Crisis at Fukushima nuclear plant in Japan as officials warn radiation levels close to the plant are now high enough to impact human health. Follow our live blog to get the latest. UK Foreign Office suggest citizens in Japan leave the country as US officials sound stronger warnings on the threat from the Fukushima nuclear plant. 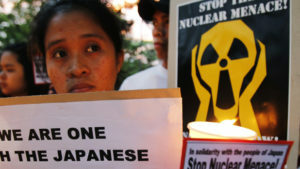 Japan: how will Fukushima crisis affect world's nuclear future? 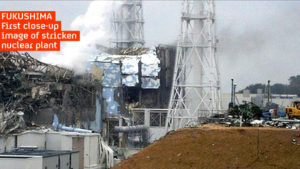 What are the implications for nuclear power from the crisis in Japan? Jon Snow looks at the future. 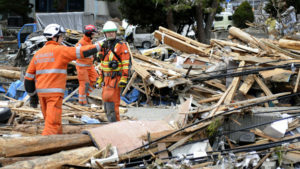 British search and rescue workers in Japan say they “remain optimistic” they will find survivors in the wake of Japan’s devastating earthquake and tsunami. 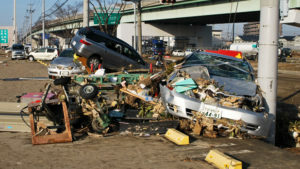 World Vision Aid worker Mitsuko Sobata describes the shocking scenes in Japan’s disaster zones, but says she is “encouraged by the strength” of the Japanese people.